And it seems, the competition wants to closely monitor the progress of the project. A profile and popular Google+ circle and already has nearly 30,000 followers. With the milestone reached, Mark Zuckerberg, Facebook CEO, became the user of more popular new network Ahead, including Larry Page, Google co-founder. Larry Page ultrarrival may not exceed the number of its followers of their own, but who knows can ensure, in short, the leadership of social networks. 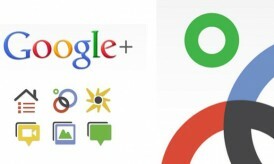 To find out what Google+ is capable of, see 10 things you need to know about it. Issues that you do not want to deal with all your friends (or relatives) now no longer a problem. Google + hits the vein of privacy and allows the user to divide your contacts into groups like “family”, “Friends”, “known” and so on. And the best: none of your contacts will know which group you put it. It’s great to be able to sign in and find out for the top bar, you have Google + updates. To view them, just a click away. In addition, you can also make your own updates right there. 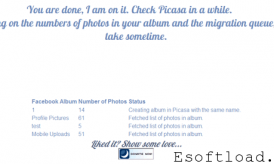 Picasa and Buzz are other examples of integration. 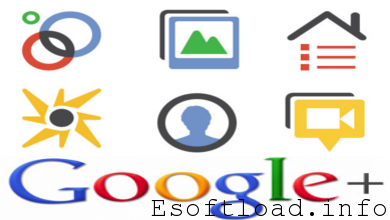 And probably Google will allow users to also use Docs, Maps and other integrated tools. By doing a Google search, there is no need to copy the link and post on social networking, in fact, you do not need to enter the field to do so. Just do a Google search, click the “+1” and recommend the site to friends. Another feature is the section Sparks enter a keyword, for example, “movie” and receive the Google page itself, news and updates on the subject. The advantage is that in all his actions, you can choose who you want to share. You can talk to your circles via video or voice, simply install a plugin (you must have Windows XP or higher, Mac OS 10.5 or higher or Linux). To chat via text messages, the network extended the Google Talk Gmail. You can open a group chat and chat with several people at once. By downloading the Google + to your cell phone or iPad, you can also chat in groups or upload video or photos of the device on the web. Then just share. Another advantage is that the upload process is automatic in the phone. The social network is now available for Android phones, Google’s operating system, iPhone, Blackberry and Symbian. You may or may not approve the appointment of a tag with your name on the photos posted. The appointment will allow access to the image and album related. If you prefer to delete the tag set, just click “x” in the tag. And if you prefer that this picture is removed from the network, just ask Google to remove (Click on “Actions” and select “Report Abuse”). You can also make a list of people who already are allowed to mark it in the pictures (Go to “Settings” in the top right). To let your friends know where you are, Google offers a + button on the home network. Should be interesting, but in tests by Season BUSINESS in Firefox, the system was wrong to try to locate where the story. Missed by far the neighborhood and therefore the address. The letter “J” or the spacebar on your keyboard can be used to pass the post without having to run on the scroll bar. The letter “K” is to return to the initial messages. Google took advantage of that feature of Facebook to name people in posts. For a guy know you’re talking about it, just type the “@” (at sign) and click on his name. When you use this feature, the person cited is alerted by e-mail – but you can choose not to be told in “Settings”. Many of the things you share in a social network can have a big representation in your life, such as photos, news and contacts. Google+ lets you take all this to where you want, just click Settings and choose what you want to keep. Google+ looks more promising but I always try not to use my google accounts everywhere as I am using Adsense on my sites. I heard that google keeps track of IP Addresses and MAC address to identify the website owner’s computers. This is somehow limiting me to use Google+. Should I create another gmail address so that I can use Google+ everywhere else? Or do you have any more information regarding to my problem? yes, they keep track your IP Address and MAC Address but it for different reasons for different products. For gmail, they keep track IP to get you know what was your last login. There is no problem in using same id for Google+ if you are using it genuinely. For security you can also use another id. 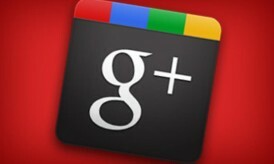 Hi Ileane, Me too enjoying Google+ and most of the time i spend to understand it and using the features.